Here are some things you should know. I work ALL THE TIME, or at least it feels that way. Pat might work even more than I do, but it's a close race. A very uncool, close race. We manage to have a lot of fun despite our workaholic tendencies. We've been to Letchworth (aka, the Grand Canyon of the East) a couple times this summer. 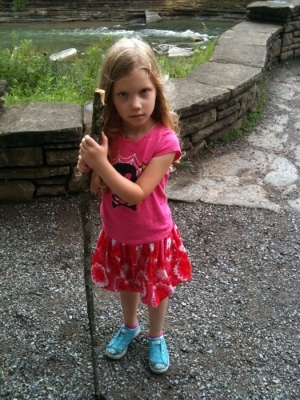 Greta is Little Miss Hiker Girl. My one silent requirement I never actually announce but that my family just understands is that wherever we go I will blow them off at some point to spend some quality time with rocks. I haven't found any notable fossils lately, but I've found some pretty cool ones, and I'm excited to announce Greta found her first legit fossil rather than a number of rocks that are eroded to sort of look like heart-shaped rocks (which she calls fossils). The one she found was some sort of horn coral embedded in some, um, regular ol' rock. Greta asked me why I like rocks so much, and I don't know what it is. They just make me happy. I can look at this picture from the lower falls at Letchworth and I feel calmer. On the nature theme, when we moved into our house there was a dead weeping cherry tree in the front. 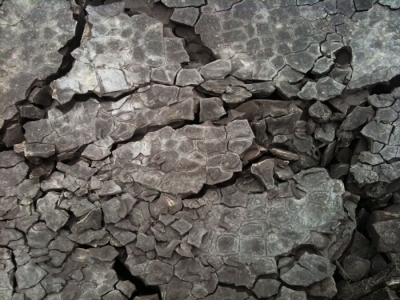 I am horribly indecisive, and we went to a bunch of places and all of the trees were just so...meh. We went to Oriental Garden Supply and I fell in love. It's such a great place and there is such an amazing selection of really wonderful, different trees, shrubs, and plants. We ended up getting a weeping larch for one side of the turret. For the opposite side we got a contorted filbert. I feel like our yard and sort of coming together. In a very exciting development, this summer I finally realized I enjoy weeding. I always hated it, and no I will not come to your house and weed. We have plenty of weeds here to keep me busy. But I actually enjoy weeding now! It's oddly relaxing! Who knew this? 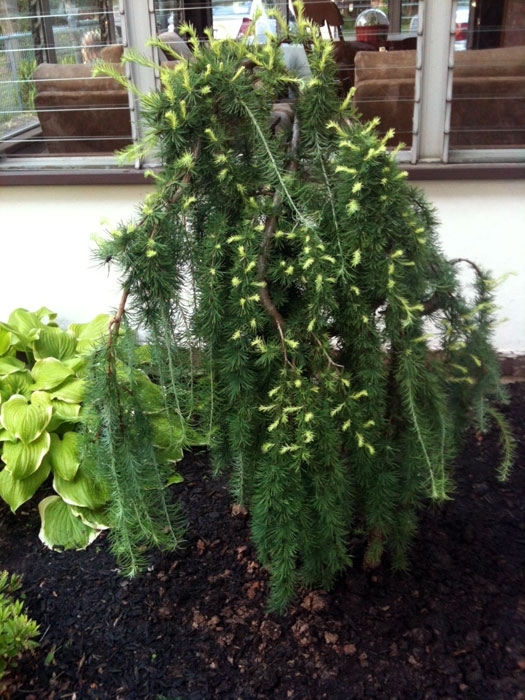 Here's our new weeping larch. I've had quite a few culinary hits and misses in the last few weeks. I definitely have enough for another blog. And I promise I will try to try to post another one soon. And yes, I said I'd would try to try. One last thing I want to mention is I saw a great news story last week about this five-year-old boy who came up with the idea to sell artwork to raise money for multiple sclerosis, the disease his mom suffers from. Connor Grossman is from Rochester, but the story is making national headlines. I will just say I think you should watch this video and check out the Marbles for MS site and consider donating to this worthy cause. Okie doke, I think that's enough for now.